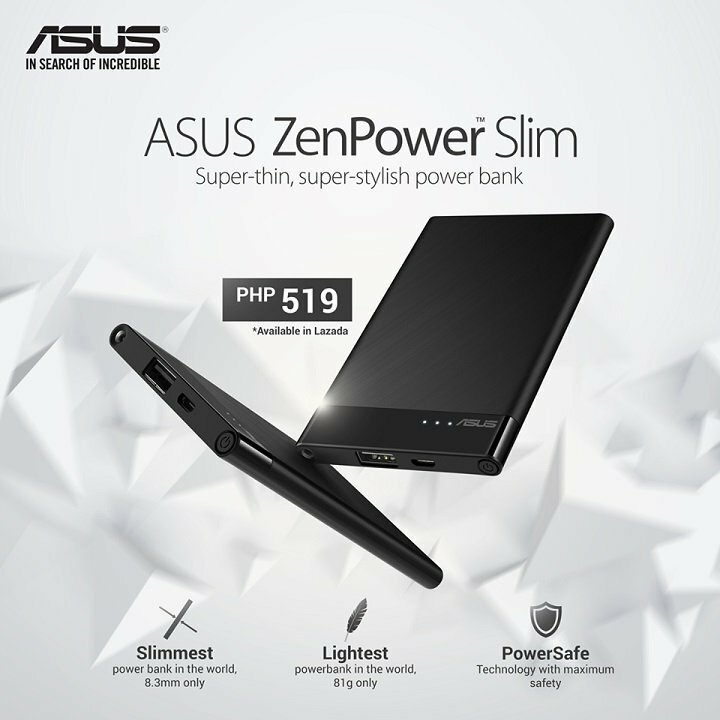 A new powerbank has just been released by ASUS Philippines in the country. The announcement for the ZenPower Slim was just made a few hours ago through their Facebook page. And as the new product name suggests, it is a slim and lightweight type of powerbank coming in at just 8.3mm thin and only weights 81grams. The ZenPower Slim offers a 3000mAh power bank, a light torch, a textured surface, and a sleek premium looking overall design. Also it features one USB and one microUSB ports for charging and recharging. This powerbank is now available on Lazada for only Php519 and comes in black. You can purchase it here.